Have you been on the receiving end of a client complaint or lawsuit? If so, you’re not alone. According to FINRA, consumers filed 3,681 complaints against securities professionals in 2016, leading to arbitration procedures that last an average of 14 months. On the insurance side, the National Association of Insurance Commissioners (NAIC) last year confirmed at least 66,538 complaints relating to insurance transactions in all 50 states. Most involved insurer claims and service lapses. But some arose from agent errors and omissions that financially harmed clients. But those are just complaints. Consumer lawsuits pose an even greater threat. According to Rocket Lawyer, consumers file over 100 million lawsuits in U.S. state courts each year. Of those, 20 million are civil cases, with 60 percent being contract disputes. And what if you lose such a case? The Court Statistics Project (CSP) of the National Center for State Courts, reveals a median litigation cost for contract disputes of $91,000, rising to $122,000 for professional liability cases. Since both of these numbers only include attorney fees, not judgments or court expenses, financial professionals who lose in court will likely take an even bigger hit. And don’t forget the non-financial costs of being angry, disappointed, and stressed out over being sued. Plus, legal problems can distract you from work and lower your productivity and income for months or years to come. Less money coming in now can have a negative impact in the future when it comes time for you to retire. Bottom line? Don’t get sued! Adhering to best practices such as documentation and regulatory compliance are excellent starting points. Also important: screening out litigious prospects before they become clients. Here are three red flags to watch for. Having risky demographics. According to a study published in Clinical Orthopaedics and Related Research (May 2012), affluent patients are more likely to sue their doctors than are poor patients. What’s more, those who have higher social status, who live in urban areas, and who attained higher levels of education are also more likely to bring legal action. Now, you may discount these findings since they come from the medical, not financial, world. Don’t. Human nature is human nature. When emotionally charged purchases go bad—in healthcare or in finance—customers often sue. And rich, high-status, urban, and educated clients may be more litigious than other types of customers. Being a senior. Older clients often have substantial nest eggs and a strong desire to grow their assets to fund lengthy retirements. As a result, they can push their advisors to offer aggressive, high-yielding investments. But when volatility strikes, they suddenly “forget” their principal isn’t guaranteed. Hello, suitability lawsuit! What’s more, seniors may have children with powers of attorney wanting aggressive growth in Mom or Dad’s portfolio—which they view as their inheritance. If account values plummet, they can push their parent(s) to recover the loss in court. Now, it’s unlikely you’ll shun engagements with older, affluent clients. But take them on with your eyes wide open, especially if they exhibit symptoms of cognitive incapacity. 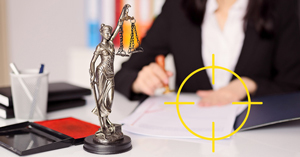 How to avoid serial litigants? Watch for displays of combativeness, emotional neediness, or crusader-for-justice beliefs. Also, listen for references to current litigation or prior court battles won or lost. In such cases, probe for details and then decide whether the client is worth the risk. Probe hard during initial interviews. Uncover the expectations clients will bring to the table during your work together. These are crucial, since any gap between what they expect and what they receive in terms of tangible (financial) results or intangible (relationship) outcomes may spark a legal battle. Good questions to ask: What results do you expect from a financial advisor? A year from now, how will you know if our work together was successful (or unsuccessful)? What specific results go into a successful advisor/client relationship? What were your expectations with prior financial advisors and how did they meet or fail to meet them? How did you handle prior cases of feeling poorly served by a financial or other type of professional? Have you ever been part of litigation or arbitration regarding a financial advisor? If so, why and what were the results? Determine current financial resources and investment objectives. If they lack substantial resources, but want chart-breaking results, watch out. They may turn on you if you’re unable to deliver sufficient ROI. Also, see if they focus mainly on short- vs. long-term results. If they’re unwilling to let the market work over time, they may prove risky to serve. Similarly, they may have a lot of confidence in their abilities and/or micromanage their advisors. Result: they may put your work under a microscope in order to find fault . . . or a reason to sue. Finally, check to see whether their spending is out of synch with their assets. This could be a sign of financial dissatisfaction (and lawsuits) to come. Beware prospects who adopt a passive or hands-off attitude toward their money. They claim to trust their advisor and want that person to manage their money freely. But at the first sign of trouble, they swoop in to assign blame. If a prospect is unwilling to invest a modest amount of time learning about how you’ll handle their account, proceed with caution. And if the person runs hot and cold in terms of hands-on engagement, watch your step. Consider doing background screens on prospects with large investment portfolios or who are buying jumbo insurance policies, especially if other warning signs exist. Start by Googling them. Then consider ordering a credit check and a review of their litigation history (if any). Today, background-check firms for a modest fee can reveal where a prospect has lived, whether the person has ever filed for bankruptcy, what type of credit history the person has, and whether the individual has a criminal complaint or conviction on file. Also, they can check court records for civil litigation, either as a plaintiff or defendant. Many such firms are available on the Internet at a reasonable cost. But do your due diligence first. 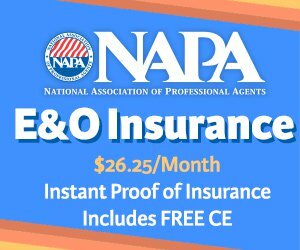 Also look for membership in the National Association of Professional Background Screeners (NAPBS) and for firms with NAPBS accreditation. The takeaway? Getting sued can be a nasty and costly experience. Protect yourself by doing business defensively from the moment you meet a prospective client. If the person is rich, high-status, urban, and well educated, proceed with extra care. Also, try to uncover a prospect’s expectations, financial resources, investment objectives, and prior financial history (bankruptcies and prior lawsuits, especially). This will take a lot of work. So not every client will merit such scrutiny. But for large customers—the ones who might bankrupt you if they bring suit—you’d be foolish not to. Finally, don’t forget that despite your best efforts, it’s possible you’ll bring on a client who sues you. That’s when you’ll be glad you have plenty of errors-and-omissions insurance in force.